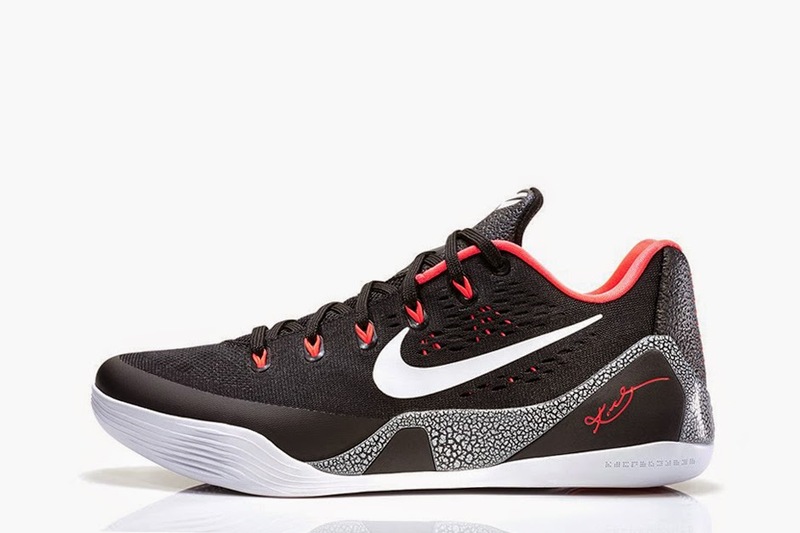 Nike presents a new black/white colorway for the Kobe 9 EM. Crafted out of black Engineered Mesh and paired to a smooth Lunarlon midsole, the pair is distinguished by a custom graphic pattern that runs from the midsole to the heel clip. The two-tone package is accented by a laser crimson Flywire system and trim along the collar. Priced at $160 USD, the pair is set to release on May 3 on Nike.com.